Welcome back to the Ethicurean restaurant, bar and kitchen. We’re re-opening our doors with an exciting reinvention of our menu. Still guided by the seasons, our menu is led by the natural cycle of our garden, using ingredients that are always at their peak. Celebrating the richness of the local soil, we pay tribute to the wonders of the plant kingdom, so from start to sweet end, the vegetable takes centre stage. And for those who crave pasture reared meat & sustainable seafood, we create dishes that perfectly compliment the vegetable led menu. February is the season of ‘scarcity’, a time for imagination and creativity. April heralds the season of ‘growth’, when the garden begins to reveal itself for the coming year. We taste the joys of ‘fruiting’ in June, whilst ‘harvest’ starts to show its riches some time in September (weather depending). The ‘festive’ season begins in November and comes to a close with our spectacular January Wassail celebration. We often receive glowing feedback about the vegetables and fungi grown on site by Mark Cox and the way we prepare them for our dishes. We slow ferment garden produce and then tenderly cook it over charcoal to create vegetable centrepieces. All other elements to the menu are tailored to compliment these centrepieces. Cooking with fire and embers is firmly part of cultural heritage and we have redesigned our kitchen to further explore this tradition. Now centred around an open charcoal grill our kitchen family imbue your food with aromatic profiles from subtle and nuanced to mineral, charred & umami. Slow roasted pasture reared meat, sustainable seafood, whole vegetables, puddings and fruits dried by the dying embers all feature on our exciting new menu. New traditions will be forged. a healhy gut, a happy mind. Eating food rich in probiotics, fermented teas, tonics, foods that are truly fresh and alive is the best way to look after and nourish your gut. Scientific research is now proving that your gut health plays an integral part in keeping the mind well and happy. Our menu is designed mindfully of this, we have nearly a decade experience in fermentation and access to some of the freshest ingredients in the land. Come and eat the foods that nourish our team. a team who gather, together. Our team gather together, foraging the garden & local lands each and every day before service to learn, share knowledge between themselves & gain awareness of the natural world. There is simply something rather special about being out in nature. We aim to nurture an understanding and caring team eager to share their finds with guests and friends of The Ethicurean Family. While we do forage the local land for wild plant kingdom ingredients we have taken the decision to cultivate fungi in the garden and support local fungi producers to help support and reduce consumption of their wild mushroom counterparts. We have been working with the educational group Forever Fungi, pioneered by Rich Wright to introduce and companion plant fruiting mushrooms throughout the garden beds and on inoculated logs around the cider barn on site. This will allow us unrivalled access to edible mushrooms, a great edition to our menu. Our lunch menu is available throughout the week from 12pm Tuesdays to Sundays. Our evening offering is designed to take guests on a ‘journey’ through our garden in scarcity, combining our favourite dishes from the lunch menu with some special snacks & treats. This menu is £45 per head & available Tuesday to Saturday evenings - please note this is the only menu we run on Friday & Saturday evenings. For those of you who’d like to drop by for a few small plates & a cocktail, we also offer a bar menu in the evenings from Tuesday to Thursday. We take on-line reservations via ResDiary for groups of up to six. Our maximum table size is ten seats. Please call 01934 863 713 for groups above six. Calls taken 10-12:00 & 15-18:00. We run a safe and secure pci compliant credit card reservation policy for evenings and weekends to avoid having to take deposits. Reservations are recommended for all visits, even midweek, due to popularity. ‘Cake-age’ - please note that we reserve the right to charge a £20 corkage fee if guests decide to bring a cake along and have it instead of our dessert offering. This charge does not apply to those who want to eat their cake after having desserts. Our restaurant & lawn overlooking the Mendip wilds is a perfect venue for your special event. We have hosted many beautiful occasions for guests over the past decade, tailoring to all requirements and always with glowing feedback. We currently have availability in Late June, Late August, September, October & November for private hire events. Please note that we no longer accommodate dogs in the walled garden or restaurant as our garden is primarily a food producing space. The Ethicurean team are sorry for any inconvenience caused. If you require shade rich parking please enquire in advance while making your booking. 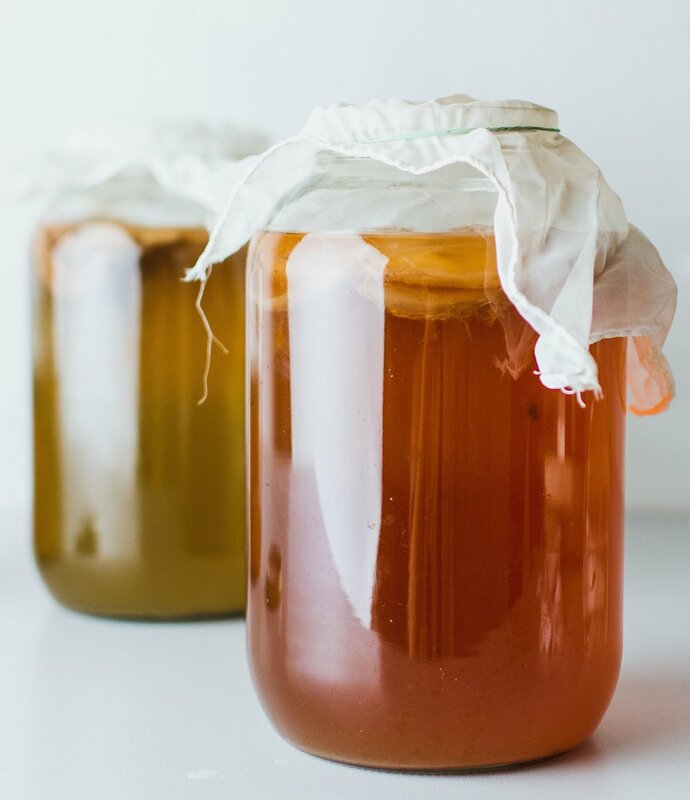 We offer a wide range of in house ‘gut friendly’ drinks such as kombuchas, kvass’s & kefirs. We have locally made soft drinks, and some fascinating distilled non alcoholic cocktails, all in keeping with what's in season. Drinks have been made here for more than a decade. The dessert fruit and cider apple orchard in which we are located has long provided juice, scrumpy and venue for our annual Wassail celebration. Our bar is alive with experimentation. Embracing the limitations of nature has, for us, spurred unbounding creativity. You can come and drink cocktails with us whenever you like. We offer a seasonal wine list, showcasing natural, low-intervention wines from a variety of different independent suppliers. The list will be designed to enhance and work in harmony with the flavour palate of the particular season. Our cider is made on site from 50 yards away, you can see the barn from the glasshouse. It's a standard setter and will give you wobbly legs. A short documentary about foraging with Matthew & Iain Pennington from The Ethicurean. Seasonal cooking requires as large a larder as possible, so the Pennington brothers needed to venture out into the local countryside in order to learn all about wild food. Foraging allows them the greatest opportunity to expand their larder. There are some incredible flavours on offer that nothing cultivated can replicate. Foraging has the added benefit of being really grounding and it allows them to escape the pressures of a busy kitchen. Nature has so much to offer in terms of flavour and texture. Founded in 1989, Pipers Farm is renowned for its pasture reared meat which is produced sustainably and in harmony with nature. Ethics which are core of and supported whole heartedly by The Ethicurean. Peter Greig, founder of Pipers Farm and his family hosted a dinner at The Ethicurean to explain why their deep rooted knowledge of their soils and farming approach results in meat of incomparable flavour. Foraging may require you to think twice before popping things in your basket, but it’s thrice the fun of the supermarket. Watch on as Matthew Pennington, head chef of UK's leading ethical restaurant, the Ethicurean, and the lovely ladies from The Sustainable Food Trust, head for the hills to source a free three course meal and a cocktail to boot. Offer your friends or family an Ethicurean experience with our gift vouchers. Treat them to afternoon tea with a lazy amble around the stunning garden, a full lunch or an evening dinner, where they'll try the best of the seasons produce cooked with care and attention to flavour. An ideal gift for the curious. The Ethicurean Cook Book. Free UK Standard Delivery. Half price postage EU & rest of World. 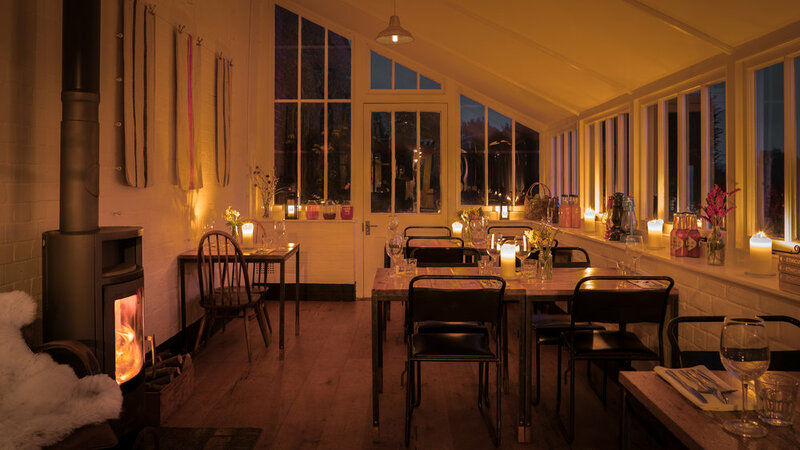 The Ethicurean Restaurant is tucked away in a Victorian walled garden with expansive views of the Mendip hills, often circled by wakes of buzzards. Situated 6 minutes via taxi from Bristol Airport. 30 minute drive from Bristol city centre. There are some excellent places to stay within a few minutes of our venue. The lanes are narrow, take care upon approach as many a deer have jumped through the hedges. We have the capacity to hold wedding receptions for up to 64 guests at the restaurant. We offer afternoon tea, sharing plate banquets, 3 course or 5 course menus, as well as flower arrangements and calligraphy place settings. We currently have availability in Late June, Late August, October & November 2019. If you would like to make an enquiry and receive a full price list as well as our food and drink offering, please fill in the enquiry form below. Please suggest a rough date that you are looking to have your wedding. Thank you @alicedaisy__ for this gorgeous shot 📸. Midweek blues? We have tables available for dinner tonight! Give us a call. Photographers we would like to credit for realising the beauty of our project.